Don't hesitate to contact us by email or call us on +33 (0) 3 85 40 55 50 right now to book your next river cruise in the Netherlands. The Netherlands is not the only area available with alpha-croisiere.com. Discover all the other destinations of river cruise that we can rent you. Rent with alpha-croisiere.com your boating holidays to enjoy one of our river and canal boats on Dutch canals and river. We offer the largest selection of barges on the market. Consult the list of all our river and canal boats available in The Netherlands to find the most suitable for you and contact us for more information. Sailing is so much a way of life for the Dutch that it has even given birth to a particular style of boat - the ‘vedette hollandaise' Dutch cruiser. Tulips, windmills, drawbridges, fishing villages, Gouda cheese and Dutch painting are not just clichés; they are what this country is all about. 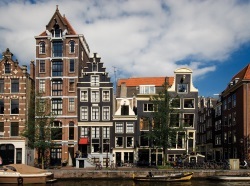 You can travel to the Netherlands by train or by car since the country is served by excellent rail and motorway networks, although air travel is another good option, with Amsterdam boasting one of the largest airports in Europe. Paintings, cheese, tulips and canals are omnipresent in the Netherlands. The Dutch have been fighting to drain water from their land for centuries, building dykes, of course, and becoming specialist in mills, too, the oldest of these being a watermill dating back to the 8th Century. Unsurprisingly, windmills are now part of the landscape here and have even become one of the national symbols of the Netherlands. 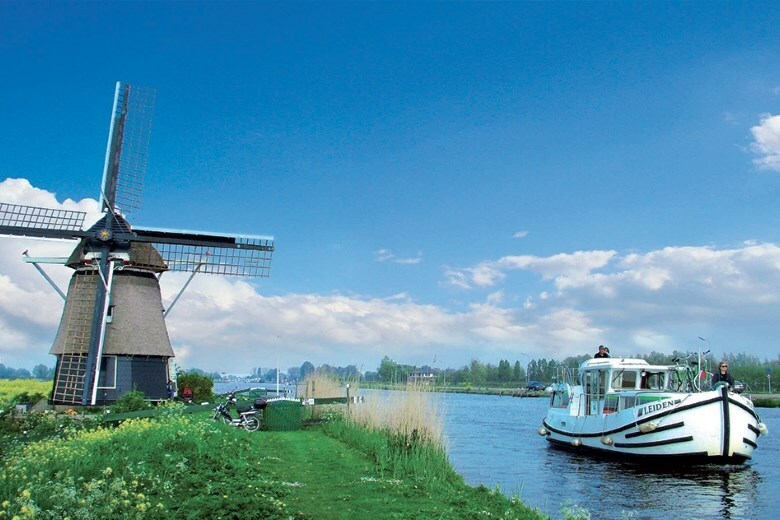 The Dutch built inclined planes, boat funiculars, lift bridges, swing bridges and various other engineering structures that are sure to attract your attention to enable these Dutch-built cruisers (and of course other types of boat) to sail around the country. 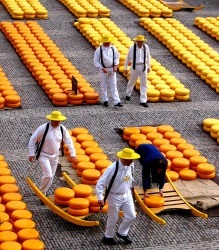 Cheese production in the Netherlands dates back to the pre-Christian era and is an industry that has developed to such an extent that the country has become the world's largest cheese exporter. Head to Gouda, Edam or Alkmaar and you'll get the opportunity to attend a traditional cheese sale of the sort that has been taking place for some six hundred years. The tulip, which was originally imported from Turkey and Iran, is by no means the only flower produced in the Netherlands, which has become the largest producer of flowers and plants for distribution, and you will undoubtedly come across plenty of floral displays to admire during your stay. On another note, the Netherlands has also played host to the workshops of many a great painter, including Rembrandt and Vermeer. You can sail right into Amterdam or park up on the outskirts and take the 10-minute train ride into town. Will you be tempted by one of the precious stones on sale from one of the city's many diamond merchants, or might you prefer to stick to admiring the works of Rembrandt, Vermeer and Ruisdael at the Rijksmuseum? The city of Sneek is very well known for its nautical scene, which attracts many visitors every year, as well as its Watergate, a 17th-Century gateway that spans the canal and was once part of its defence system. With its drawbridge and its moats, Muiderslot castle is guaranteed to appeal to children. You will probably have already heard of Gouda before visiting the Netherlands. Cheese has been sold in the same way here for centuries, in the marketplace close to the city hall (which happens to be the oldest Gothic city hall in the Netherlands), but that's not all the city is known for; indeed, its caramel syrup waffles, the stroopwafels, among other delights, are a must for any visitor to the city. Keukenhofpark is home to over seven million bulb flowers (tulips, hyacinths, daffodils, orchids, roses, carnations, irises, lilies and many more), all superbly arranged to decorate both the gardens and the park's four pavilions. Keukenhof is by far the most beautiful floral park you're likely to see anywhere in the world.